Friday, April 6th, 9 am: Brent Peterkin, Connecticut Statewide Coordinator for Project Longevity, was our guest on Criminal Justice Insider with Babz Rawls Ivy & Jeff Grant – The Voice of CT Criminal Justice. Live on WNHH 103.5 FM New Haven and live-streaming at newhavenindependent.org. Rebroadcast at 5 pm. Sponsored by the Community Foundation for Greater New Haven – Now More Than Ever, and Family ReEntry – Serving the Connecticut Justice Community Since 1984. Link to archived show on SoundCloud here. Brent Peterkin is the Statewide Coordinator for Project Longevity, a Connecticut based initiative that marshals law enforcement agencies and communities to focus on serious violence, reducing arrests, direct support and social service coordination along with opportunities for a genuine and sustained fellowship that is oriented towards collective efficacy and social impact. The Project Longevity strategy is based on the Group Violence Intervention (GVI) model designed by John Jay College of Criminal Justice’s National Network for Safe Communities (NNSC) and is also known as focused deterrence or ceasefire. Thus far the core efforts of Project Longevity’s work has resulted in the reduction of street group perpetrated gun violence by over 50 percent which amongst other things is attributed to direct engagement with individuals viewed as most likely to become victims or perpetrators of gun violence. The program’s best practices have been recognized nationally and internationally for its violence reduction and strategic coordination efforts. Peterkin believes that communities become safer when they center their focus on the assemblage and rigorous implementation of strategies that join communities and actors in the criminal justice system to create synergy, symbiosis, and social organization. In doing so, it is possible to achieve a sustainable collective impact that directly benefits communities that are affected by gun violence. Peterkin serves on the Governor’s Youth and Urban Violence Commission, is a co-chair of the Bridgeport Mayor’s Initiative for Reentry Affairs, and a board member of EMERGE. Previously, Peterkin served as a policy fellow in the Office of the Governor working in support of the Office of Early Childhood where he focused on parent engagement and fatherhood development. He also worked with a Yale University based global anti- poverty initiative and supported at-risk high school students with emotional, behavioral and learning disabilities in Yonkers, New York. Peterkin studied public policy and public administration at Fordham University and Northwestern University. 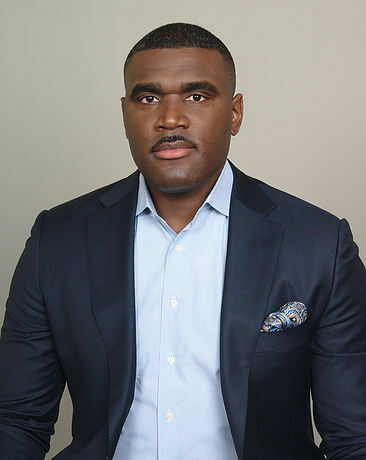 Peterkin’s commitment to social change has led to his recognition as an honoree of Connecticut Magazine’s 40 Under 40: Class of 2017 and a 100 Men of Color 2017 Honoree.